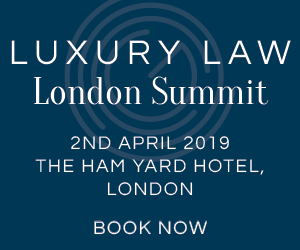 Ahead of the Luxury Law New York Summit we caught up with one of our speakers, Douglas Hand, Partner at HBA to ask him what she felt was the one single factor that would provide increased opportunities for the luxury sector, if luxury brands would be better or more poorly protected in five years and what is the most common legal challenge for eponymous fashion brands. 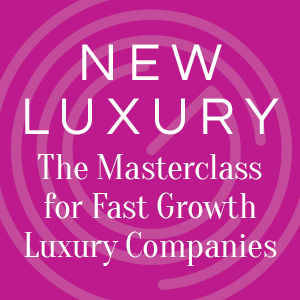 LLS: What would you say were three key challenges facing luxury businesses over the next five years? DH: The continued shift in consumer habits will require increasingly novel forms of retail engagement. Brands focused on products continuing to be considered “luxury” in an environment where more and more luxury consumers are spending on experience not product. Continuing to produce at the requisite level of quality in the face of the slow erosion (due to age) in reputable and skillful manufacturers. 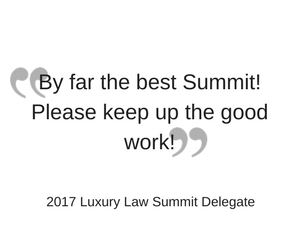 LLS: Why do you think it’s important to bring in house legal counsel and law firms together to discuss business challenges facing the luxury sector at the Luxury Law Summit? DH: It’s a global industry. As a fashion law practitioner in New York and LA, my colleagues are all over the globe. It’s important to have a single venue to see them and have a dialogue. 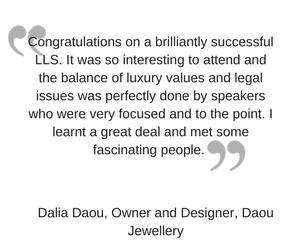 LLS: Do you see changes in the way that luxury business law teams are using outside counsel? DH: Luxury business law teams seem to be outsourcing more, to more specialized law firms. LLS: Do you expect to see more M&A activity in the luxury sector? And if so, why? DH: The consolidation race seems to be on in the US in particular with Capri Holdings, Tapestry and others looking to acquire portfolio companies. 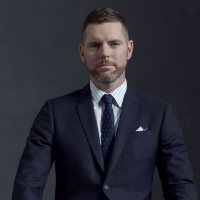 LLS: More luxury brands are embracing the opportunities offered by new technologies – what do you think will be the next big thing in luxury brand retailing or product? DH: Electronic sizing of the customer for made to measure that actually approximates a good tailor. DH: Really depends what jurisdiction you are talking about. I think in the US, we’ll see an attempt to expand copyright law further into design post Star Athletica v Varsity Brands. In China, we should see continued recognition of foreign trademark rights post Dunhill v. Danhuoli and CFDA involvement. LLS: Would you say that the luxury sector is behind or ahead of the game when it comes to cyber security? And why? DH: I think there are so many moving parts in the fashion industry for brands to stay on top of, most brands are just reactive. Putting out fires. Few brands have gotten ahead on cyber security. DH: You know I have a lot to say about this, but the biggest challenge comes at M&A exit. The excruciating decision of a founder and designer to sell of his/her name and legacy. 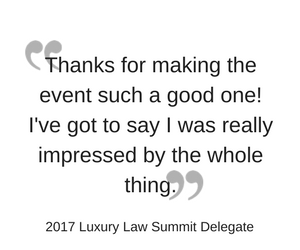 LLS: Apart from your own, what session at the Luxury Law Summit are you most looking forward to joining? DH: The Luxury of Food. Lee Sporn knows what he’s talking about!